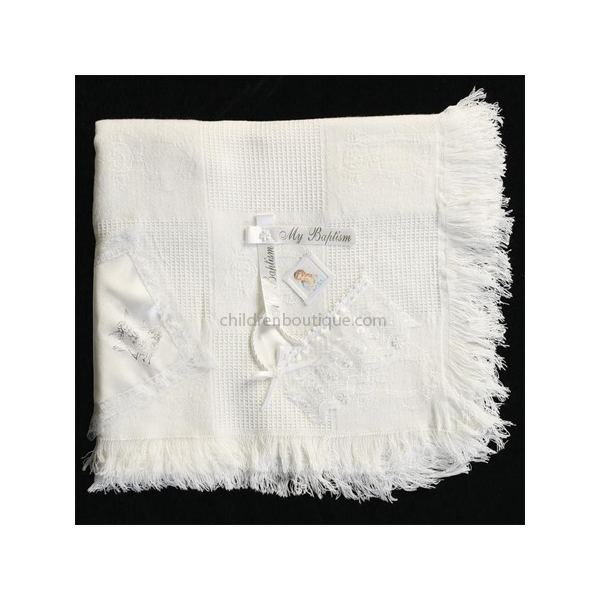 Christening blanket with embroidered lace baby cradle and guardian angel. "My Baptism" printed on satin ribbon accents. This is something that can be handed down for generations.